The great thing about having a wardrobe full of classics is that they never go out of style. 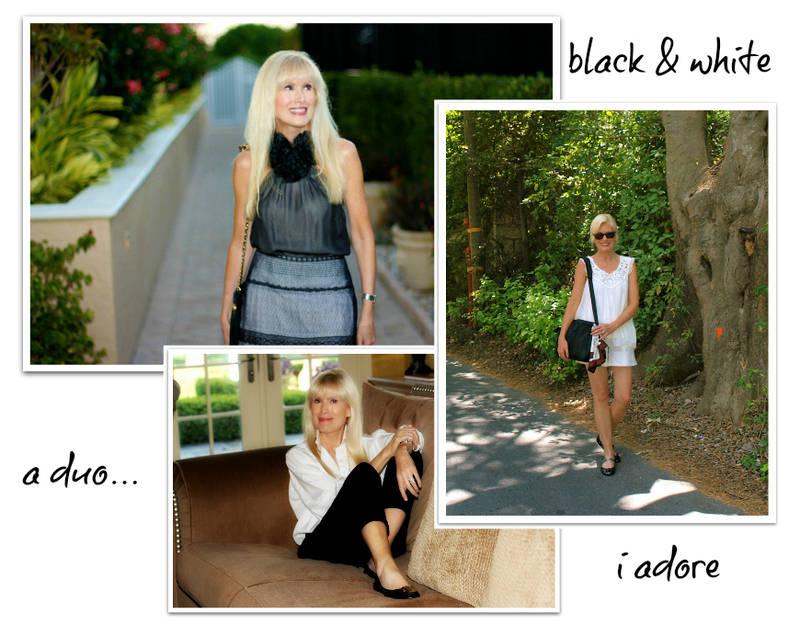 Take black and white, for instance—one of my all-time favorite pairings—always timeless, right? Well, despite the fact that I personally have never relegated this dynamic duo to the back of my closet, they are once again enjoying their time in the spotlight, being heralded as one of the season’s hottest trends—think monochrome and minimalist. I probably wear more black and white than any other combination (and have enough derivations of it in my wardrobe to last several lifetimes). Yes, the look is chic—think Audrey and Coco and Karl—and ever so versatile, but if I’m being truthful here, the real reason it’s a go-to combo in my closet is simplicity. It’s a pairing that just makes getting dressed easy. It’s similar to the kind of easy that a uniform affords, only this duo’s cache is an understated elegance that is, frankly, undeniable. There’s nothing complicated about black and white. It’s a marriage of minimalism that is easy on the brain. Don’t get me wrong, I love color. Color is great. It’s just that color can be tricky territory for me, depending on the hue I’m contemplating. So mostly I stick with neutrals and yes, lots of black and white. Here’s to perfect harmony as we head into the summer of 2013.